India, where are your young men of change, where are your revolutionary Test cricketers? It is your time or it is no time. Go look at the Trophy: Read the names. The Border/Gavaskar Trophy being contested at this moment may prove to be a seminal Test series to match that of the 1928-29 series between Australia and England. It may change the course of cricketing history. Let’s hope so. In 1928, Australia, after a period of dominance in world cricket found their stars aging but its Cricket Board, out of touch and inert, were unable to reconstruct their side in time before coming up against a very strong England side. Australia were hammered 1 – 4. 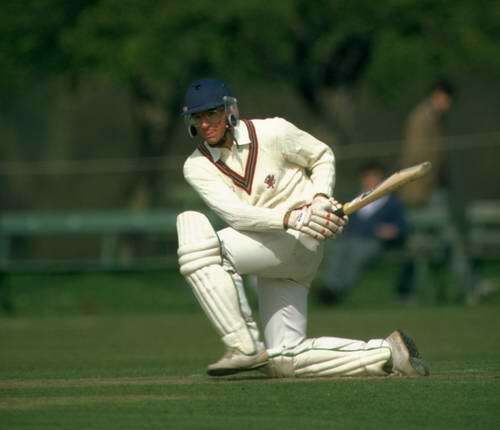 For England across the series, Hammond scored 905 runs at an average of 113.12, and Hendren, Sutcliffe,Hobbsand Jardine all averaged over 40. Among the England bowlers Geary, White, Larwood and Tate took 79 wickets between them. But although it was not obvious at the time, the series initiated an exciting period of change in Test cricket – a period of unprecedented attack and counter attack. 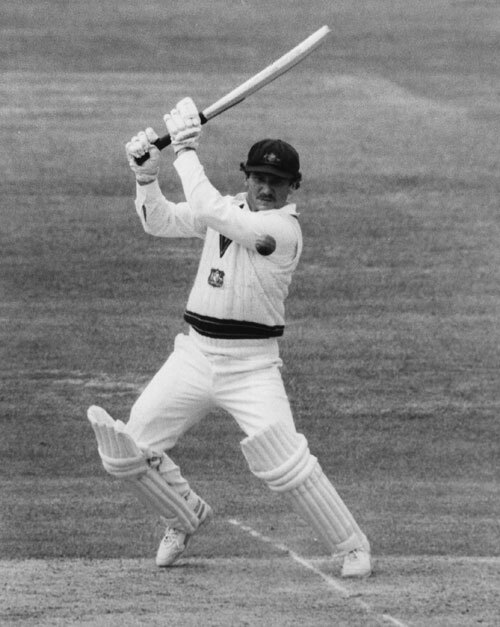 That series-drubbing deeply influenced the mentality of a young Australian debutante in the side, Don Bradman, who went on to bat without mercy in the return series when he surpassed Hammond with an aggregate of 974 runs in 7 innings at an average of 139.14, as Australia, with nine players in their twenties of whom six were under 23, regained the Ashes. The Bradman experience led to Jardine (and Warner’s) experiment with leg theory, as cricket’s evolution accelerated once more and the world’s most exciting bowlers tested the Australian batsmen to the limit outside the off stump as well as outside the leg. It was pace, raw pace, even more than direction that placed some of the best batsmen in the world under the most intense of investigations. It was cricket being played out there … by both teams. Today in the third Test of this series, played at Perth, India have again been put to the sword. Perth was always going to be India’s Nemisis – fast, bouncy, alien – and yet also the perfect surface for Warner to attack with an extraordinary 69 ball century and who on 104 is still there with his partner at 149/0. Perth cricket is Test cricket. How will India respond, not tomorrow, not during the rest of the series, but strategically? First they are going to have to decide whether they just want to nurture T20 experts or find someway of decontaminating their game and its effect on young players. Of repairing the damaged inflicted on their batting DNA by the IPL. Bradman, who won the PR battle, was an exceptional cricketer because he was a man of steel. Jardine, who did not, was also exceptional and made England winners in a manner that was revolutionary and before its time. Young Indian batsmen have been quick to take up the innovations of others and exercise them in T20 and may have looked more promising for Test cricket than they really are. Change is effected not by innovators but by revolutionaries, men of steel and extraordinary substance – the Bradmen, the Jardines, the Clive Lloyds, the Steve Waughs and especially the Borders and the Gavaskars who now fittingly lend their names to the contests between their two countries. India, where are your young men of change, where are your revolutionary Test cricketers? It is your time or it is no time. Go look at the Trophy and read the names. 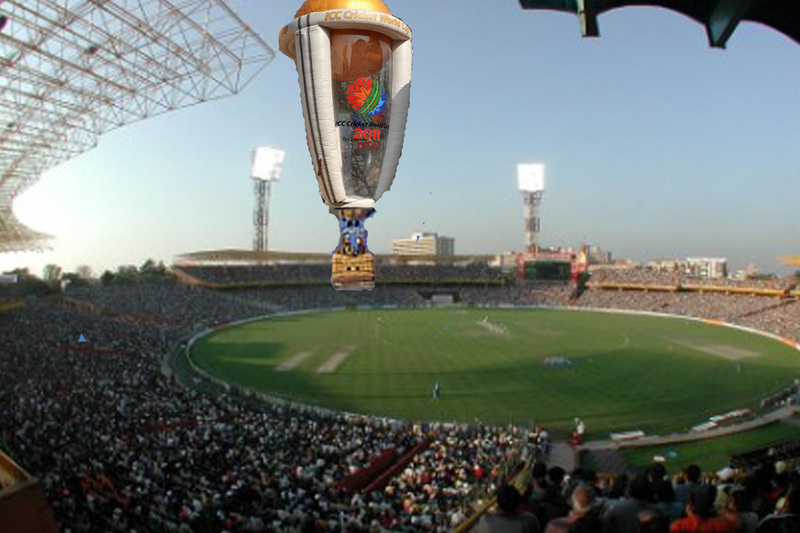 Third Man’s World Cup Blimp – a non rigid, buoyant airship – will after all be seen at Eden Gardens, provided you view the tournament from the window of his Time Machine – note the early and tantalising view recently glimpsed above. ICC inspectors have given the thumbs up to three world cup matches at Eden Gardens in March. But this great coliseum of cricket, that holds in excess of 100,000 people, will not stage one of the few eagerly awaited first round ties: resurgent England against indomitable India. Their match scheduled for 27th February will now take place in Bangalore where the non-rigid, bouyant Mayor has already made known his lengthy list of required freebees. The 2011 World Cup is a massive test for the ICC after the last event staged in the West Indies left so many questions unanswered: odd and questionable results, over priced tickets and wasteful redevelopment that replaced warm vital heritage with concrete, sand and chillingly soulless stadia. Cricket does not respond well to austerity. The 50 over format is losing support. The need to help emerging nations but at the same time maintain interest at the start of the competition is a difficult if not impossible balancing act. Tournaments have really only been successful when the very best of the world’s cricketers have produced radical reinterpretations of the game that gave rise to transformative strategies, changing for the better the way the game is played at every level and in every form. 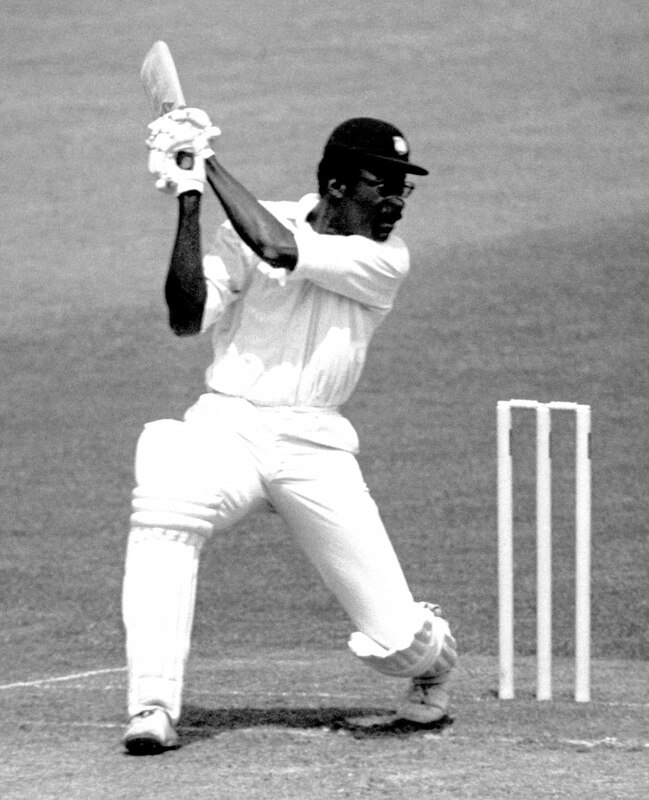 This was the case thanks to the early West Indian campaigns which not only brought forth great innings by Kanhai and Lloyd who in the first final came together at a rocky 50 – 3 and put on a total of 149 but also gave rise to the unyielding Australian response that got within 17 runs of their the then massive 292 run target. 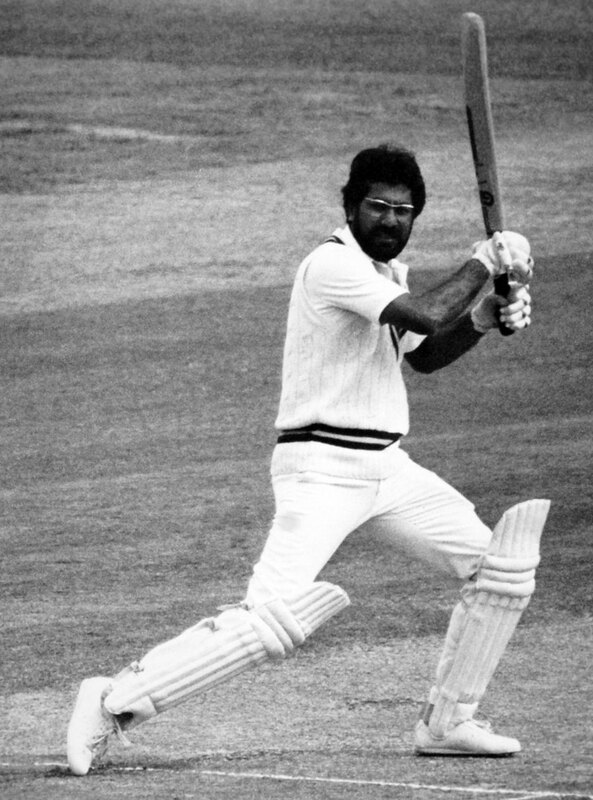 Or the response the Caribbean side’s 1979 Oval semi-final score of 293 for 6 engendered from Pakistan’s Majid and Zaheer who accelerated with breathtaking elegance from 10 – 1 to 176 before Zed was dismissed by Croft for 93, challenging the hitherto hegemony of power with their graceful wristy stroke-play. 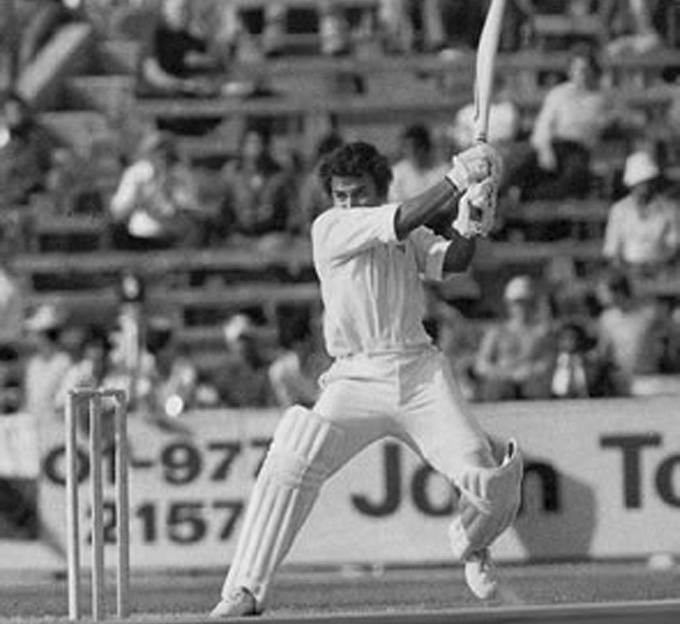 It was also the case in 1983 when India showed how to defend a meagre total of 183 when their six bowlers confined the brightest of batsmen: Greenidge, Haynes, Richards and Lloyd, to three runs an over and defeat by 43 runs in an innovative orchestration of pressure that achieve the most unexpected of victories. And finally, in1996 at the Gaddafi Stadium in Lahore, it was also the stage on which the Sri Lankans unveiled ‘fearless’ cricket with their blistering, relentless jaw-dropping counterattacks, match after match. Cricket would never be the same after Sri Lanka, chasing Australia’s 241 and having they had lost the explosive Jayasuriya to a run out, and his fellow opener Kaluwitharana for 23, de Silva and Gurusinha continued their by previous standards reckless assault on McGrath, Fleming, Warne and Reiffel to blow Australia away with twenty balls to spare. Each of these moments created by the World Cup were turning points in the history of cricket – some were pure innovations, others the rediscovery of lost approaches but each were felt by those watching or listening across the globe to be pivotal turning points through gates into a new Eden, where a fresh conception of what cricketers could achieve changed the nature of cricket itself. That role of hot house laboratory appears now to have moved to the T20 arena. It could be that the innovations of 120 ball, 10 wicket innings will find a powerful new expression in the 50 over format over the coming month. If not, then, its undisguised purpose will be that of a cash cow providing a few corporate freebies for the likes of the Mayor of Bangalore. The next forty days and forty nights will tell whether Third Man’s World Cup Blimp is an accurate charactisation or whether the tournament that once regularly replenished the eternal springs of cricket is once again “the potent fountain for the changes that are happening” and cricketers and cricket lovers once again regain Paradise through the Gates of Eden.